The kangaroo industry provides a valuable contribution to exports and economy. The gross value of production for the kangaroo industry in 2014 was A$174 million. Once ancillary benefits such as reduced agricultural damage, reduced road accidents and broader benefits to the community are add the industry currently contributes well over $200M per year to the economy. Road accidents involving kangaroos are becoming a serious public concern. 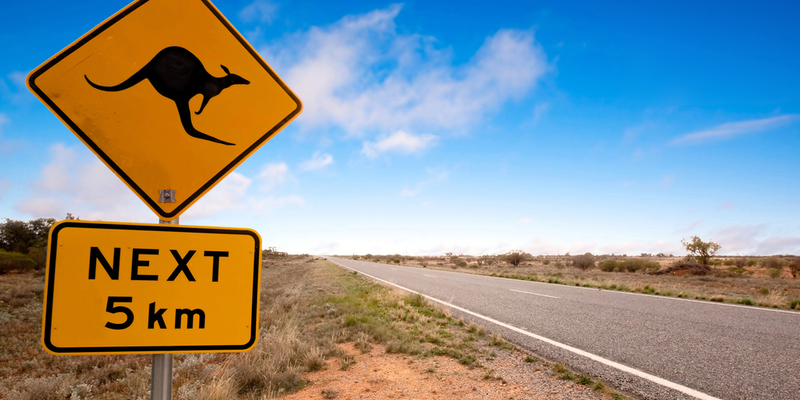 Collision with kangaroos are one of the major causes of road accidents, especially in rural areas. The NRMA recorded approximately 17,748 claims nationally for crashes involving collisions with animals, mostly attributed to kangaroos, The cost of these collision was $15.3 million in 2006, with an average claim amount of $2,260 (Rowden et al 2008). These costs are purely the direct costs of vehicle damage and don’t take into account the impacts of injury and even death to humans from collisions with kangaroos. In addition collision with kangaroos are one of the major causes of road accidents in rural areas. The NRMA recorded approximately 17,748 claims claims nationally for crashes involving collisions with animals, mostly attributed to kangaroos, RACV reveals Victoria’s animal collision hotspots. The cost of these collision was $15.3 million in 2006, with an average claim amount of $2,260 (Rowden et al 2008). Costs indicated above do not consider the cost of human life, medical-related costs due to human injury and for costs on human distress arising from death or injury. To this needs to be added significant benefits in improving agricultural production and helping with environmental protection. And the industry has significant room for growth. In 2014 it utilized only about 30% of the available kangaroo quota. Meaning that with further market growth, the industry could be worth over $500 per year. The kangaroo industry has been consistently growing for decades..
On a global basis the industry is a strong performer in its category. Australians now eat more kangaroo meat than they do duck or turkey and the kangaroo industry produces more meat than does the New Zealand venison industry. In addition to the direct value of the products it produces, the kangaroo industry is unique in adding value to the economy from its side benefits. The kangaroo harvest provides a critical service to farmers in reducing the economic impact on them from super-abundant kangaroo populations. In addition, the industry generates over 2000 jobs in the processing and transport sector plus more jobs in government, sales and other allied activities. At over 4000 jobs the kangaroo industry is an important part of the Australian economy. The kangaroo industry has the potential to contribute substantially more with greater access to export markets and increased domestic demand.